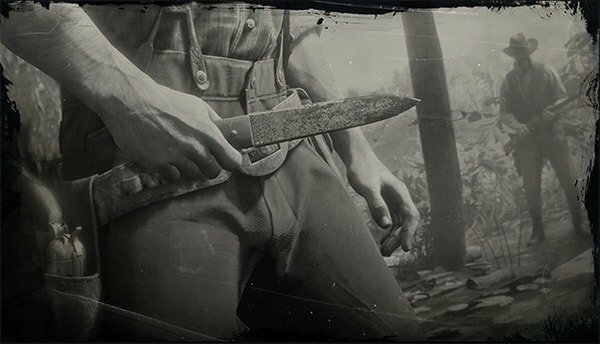 Throwing Knives are a Throwable in Red Dead Redemption 2. A small knife with a straight blade, designed and balanced so it can be thrown with ease. Can be used to silently take down enemies at range, or used as a melee weapon if required. It can be purchased from some less-than-reputable sellers, or save a trip by collecting the knife after throwing. Bill Williamson puts a few in your horse's satchel early on in Chapter 2. One of the only weapons with reusable "ammunition", as you can pick it up from your victims.